After winning the 13th season of 'The Ultimate Fighter', Tony Ferguson will face Aaron Riley on his first post-TUF fight at UFC 135. UFC officials announced that TUF 13, Tony Ferguson, is scheduled to fight MMA veteran, Aaron Riley, at the UFC 135 in Denver. Tony Ferguson, while training with his former coach – Brock Lesnar – and his Team Deathclutch, will now move to lightweight division after dominating the The Ultimate Fighter season 13 as a 170lb fighter. Meanwhile, Aaron Riley will meet the TUF 13 champion on his first post-TUF fight. 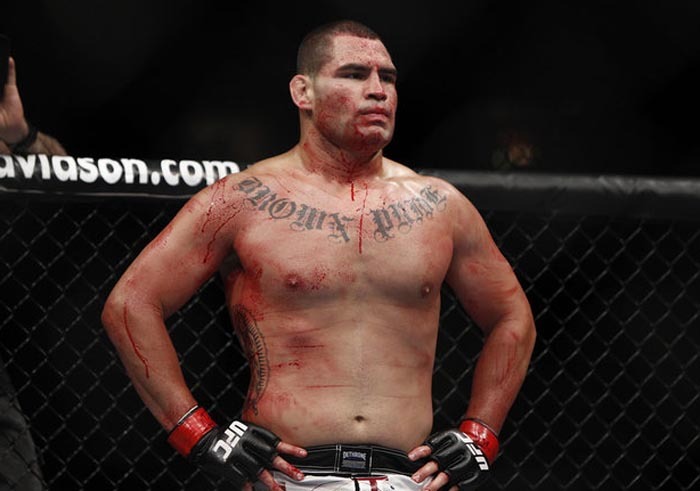 He was expected to return last September at UFC 119, but an injury had kept him out of the bout. The match between Tony Ferguson and Aaron Riley for UFC 135 in Denver is slated on September 24 at the Pepsi Center. Just less than an hour after knocking out Ramsey Nijem and being crowned as the TUF 13 champion, Tony Ferguson is already thinking on who he wants to fight next. The recent TUF champ actually calls on to TUF 17 winner, Amir Sadollah. However, Tony Ferguson is willing to fight whoever UFC wants. Tony Ferguson also added that he loves eating, and despite the ability to be in the lightweight, the TUF 13 king prefers to stay in the middleweight division. After ten weeks of being watched and tested, Tony Ferguson finally proves that he is the Ulitmate Fighter after defeating Ramsey Nijem via knockout last Saturday. At the 13th season of The Ultimate Fighter, Tony Ferguson became the show’s outcast and target of criticism after a drunken tirade against Charlie Rader and his custody issues with his son. Because of that, Tony Ferguson received an avalanche of negative publicity in the recent weeks. Still, he was able to earn his spot at the TUF 13 Finale last Saturday and defeated Ramsey Nijem via knockout. The victory gave Tony Ferguson a ‘six-figure’ UFC contract and becomes the welterweight champion of The Ultimate Fighter season 13. 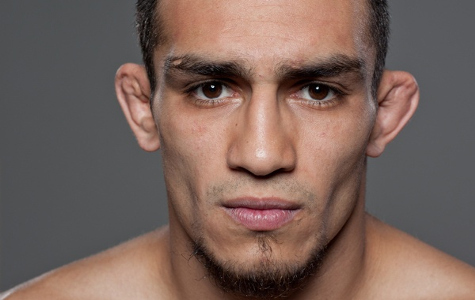 The Tony Ferguson vs Ramsey Nijem match headlines the TUF 13 Finale, which took action last Saturday, June 4, at The Pearl at Palms Casino Resort in Las Vegas. The night’s main card aired on Spike TV, while the preliminary fight streamed on Facebook for free. See the complete TUF 13 Finale results after the jump. At long last! 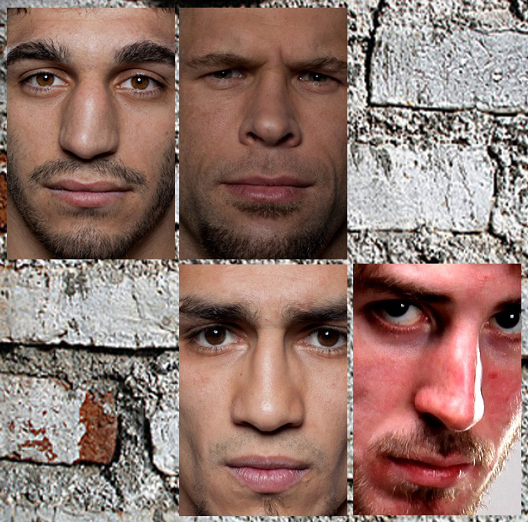 This week's episode names the contenders for the TUF 13 champion bout. 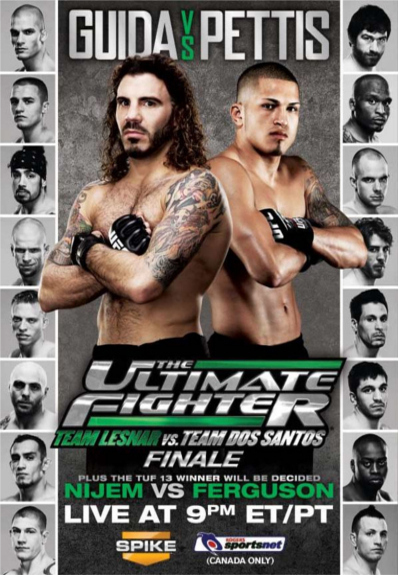 The Ultimate Fighter season 13 concluded last Wednesday night with its regular season finale and two semifinal fights. As the episode starts, Tony Ferguson is still the center of attention. During episode nine, a drunk Tony Ferguson took verbal tirade at Clay Harvison, which turns pretty much of the whole cast against the former. He then made a group apology, especially to Clay Harvison and Chris Cope, but it only fell on deaf ears. Before long though, it was weigh-in time for the first semifinal bout: Team Lesnar’s Chris Cope and Team Dos Santos’ Ramsey Nijem. Soon, they head into the first fight. The last quarterfinal matches of TUF 13 are now in the books. So who's the happy coach now? With the first two quarterfinals out-of-the-way, the audience will find out who will face Team Dos Santos’ Ramsey Nijem and Team Lesnar’s Chris Cope in the semifinals. As episode nine starts, Team Dos Santos’ Zach Davis is getting ready for his fight and rematch against Chuck O’Neil — who recently got a second life as a wild-card pick. On the other hand, Chuck O’Neil says that he’ll give half of his win bonus to teammate – Charlie Rader – who’s legally fighting to get back his son. At the gym, the Team Lesnar representative is drilling strategies with his coach. Soon, it was fight day.